Two invoices/receipts from A V Christie, Ironmonger & Wireless Dealer, Kilmarnock, 1927, to Miss Campbell. Amongst the belongings of the MacDonald/Campbell/Brown family of Mannal House. Invoice/receipt from Bot. of Andrew Christie, Ironmongery Warehouse, Kilmarnock, 1908, to Mr Hugh Campbell, Mannal. 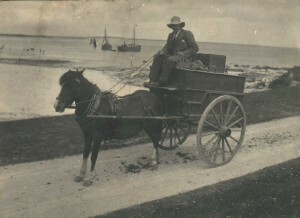 Amongst the belongings of the MacDonald/Campbell/Brown family of Mannal House. 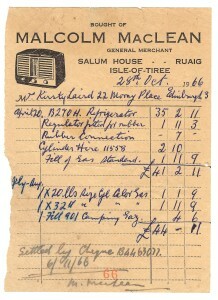 Invoice/receipt from W. Shepherd & Son, General Ironmongers, Greenock, 1906. Amongst the belongings of the MacDonald/Campbell/Brown family of Mannal House. 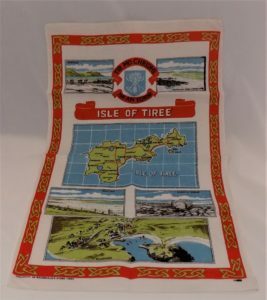 Colourful linen tea towel showing a map of Tiree and images of artist`s landscapes of Tiree. 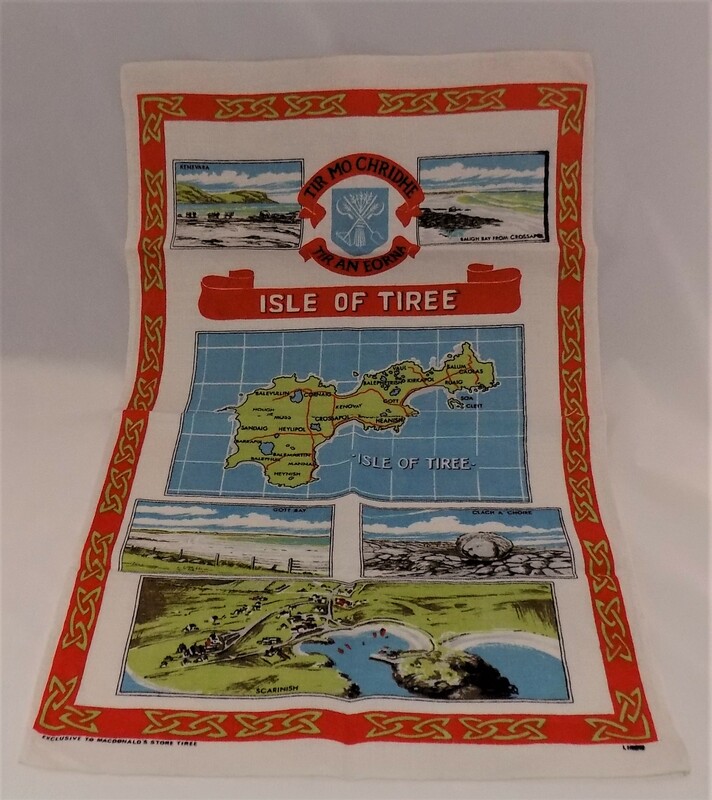 Sold as a souvenir from Mona MacDonald`s shop in Scarinish around 1970. 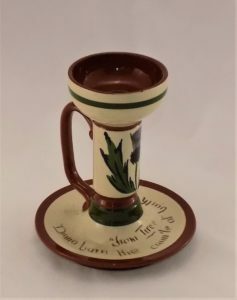 Local news: Tiree 10K; An Iodhlann re-opens; interview with Elaine Hutchinson; air link between Oban and islands; Helen Thompson professional kite-surfer; `Tiree Experience` day tour; the Tiree Association; architecture awards; MacLeans of Tiree and New Zealand; kite-building competition (goose scarers); `Pipathon`; closure of Craft Shop, Kenovay. Local news: Wave Classic and Coll Challenge; interview with pop singer Paolo Nutini; access; Gaelic drama; SWRI meeting; interview with Becky Wright; new ambulance; Tigh a Rudha fundraiser.